Every single instance of a friend's insincerity increases our dependence on the efficacy of money. His knowledge of books had in some degree diminished his knowledge of the world. 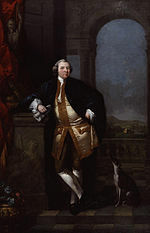 William Shenstone (18 November 1714 – 11 February 1763) was an English poet and one of the earliest practitioners of landscape gardening through the development of his estate The Leasowes.